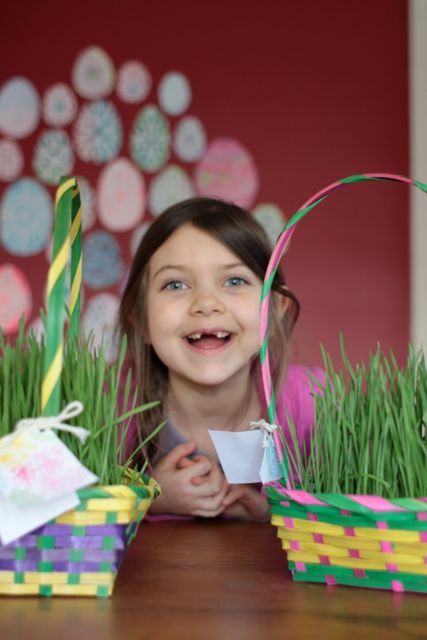 When our girls grow up and remember their childhood Easters, they will likely think of wheatgrass. 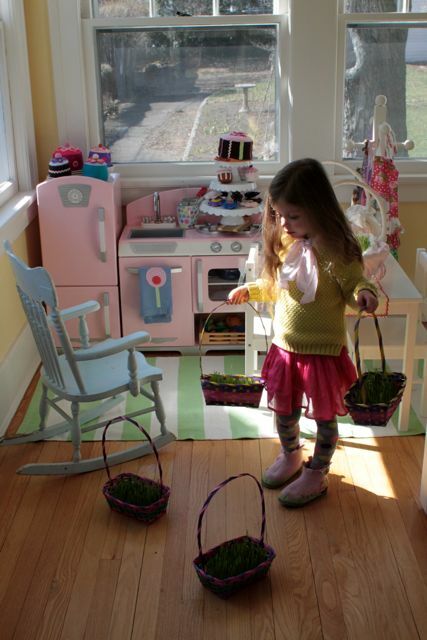 Similarly, when our girls grow up and drink wheatgrass, they will likely think of Easter. We are a little wheatgrass crazy this time of year, can’t get enough of the gorgeous green stuff. 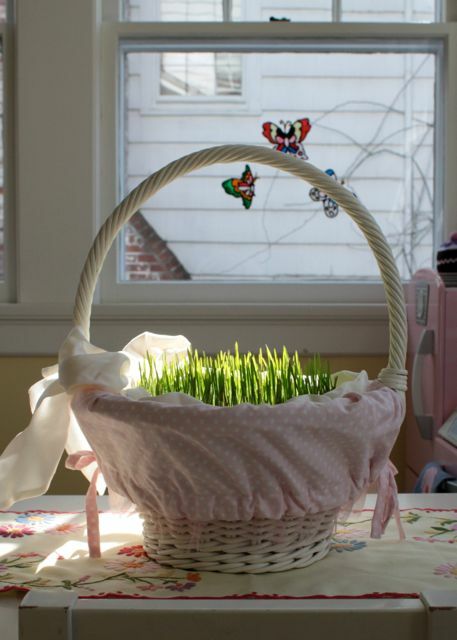 I started growing wheatgrass for Easter a couple of years ago after Maya came home with a wheatgrass easter basket from her Waldorf Playgroup in Brooklyn. 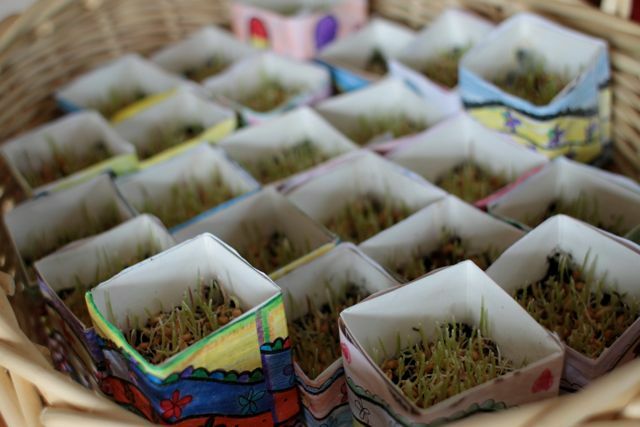 Maya’s wonderful playgroup teacher Kristin prepared little wheatgrass baskets for each of the children for Spring Equinox. Everything about it resonated with me and so the following year I decided to carry on the tradition with Maya’s kindergarten class in Montclair. 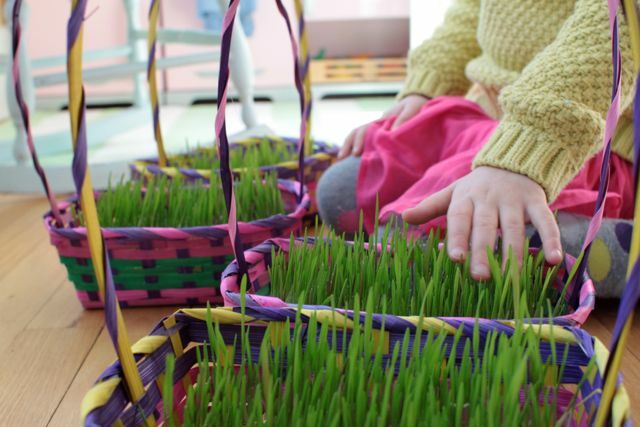 Maya had left the playgroup and was at Edegmont Public Montessori Kindergarten, and so I made 25 wheatgrass Easter baskets, one for each in her class. The project was a success and I wanted to do it with Maya’s class again this year. 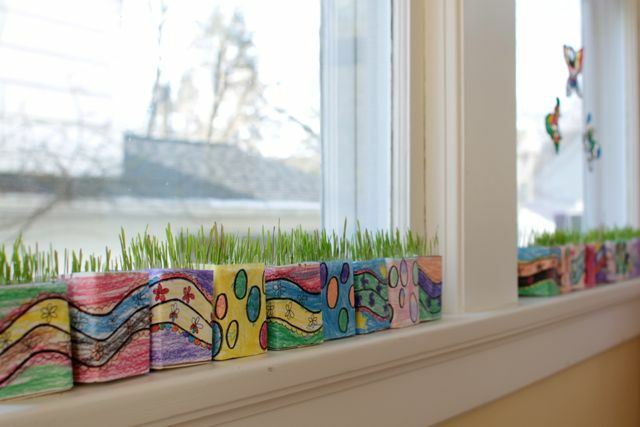 Her 1st grade class was a new mix of children, and so some had done this project in Kindergaten and some had not. 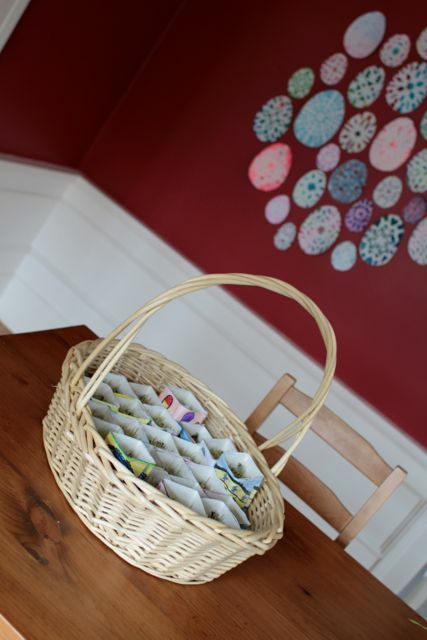 To make the project a little different – and to make it a little more environmentally friendly, this year instead of buying bamboo baskets, I used milk cartons out of the recycling. The children collected the milk cartons after lunch one day at school (The school really should be serving organic milk- I need to work on that!). I took the cartons home and washed them, and cut the top portion off. I then drew up a decorative border image that the children coloured and pasted around the milk carton. I prepared the wheatgrass and watered the wheatgrass – it takes some love. 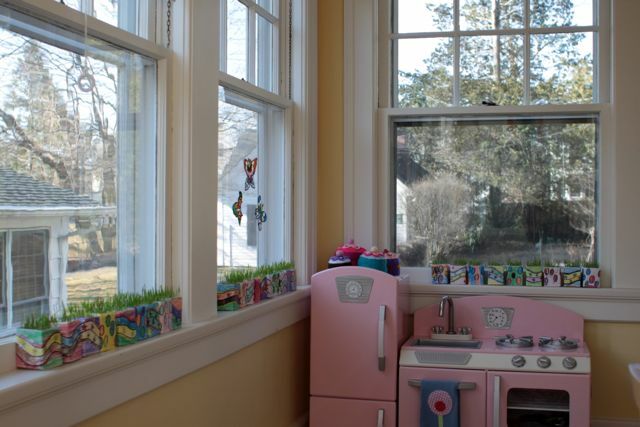 The containers looked so cute sitting on our sunroom sills. 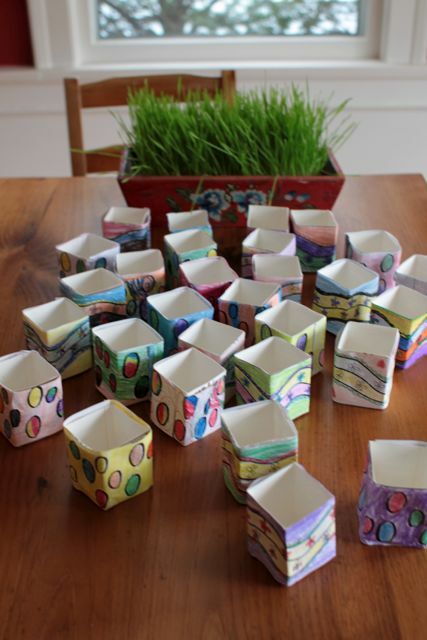 A week later I returned the cartons to the children on the day of Easter break. Oh what a joy! 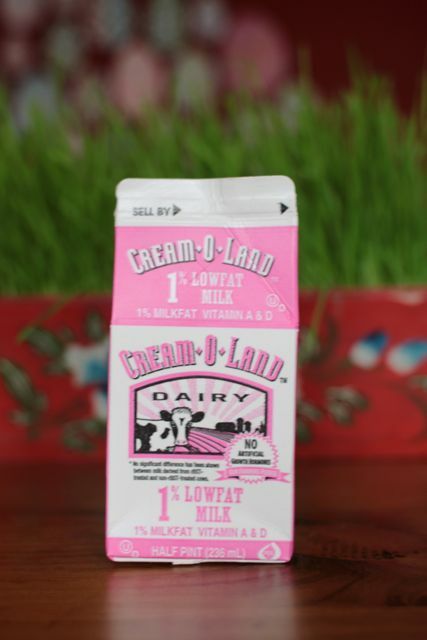 The waxed paper milk cartons worked really well because they are water resistant and held well with the soil and water. The class responded as a whole to the project better this year because they got to decorate the container. They loved it last year too, but this year there was a greater sense of excitement. When I arrived with the basket full of wheatgrass they all ran to the table to locate their milk carton. The milk carton was more personalised than a bamboo basket, and so it connected with the children. 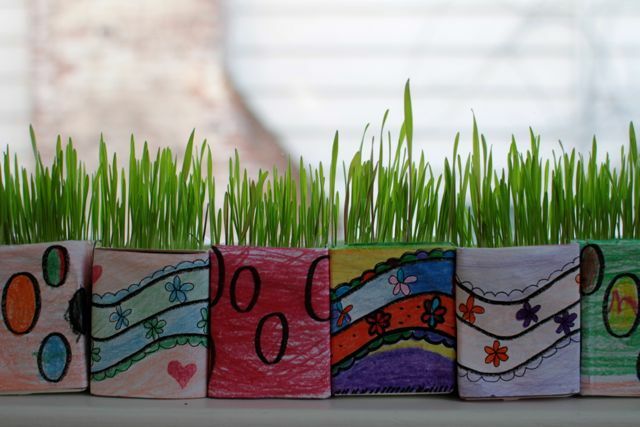 Their faces were glowing and Maya’s teacher Mrs Hart said “You have created a hub” and as I looked around the room, the children all had their wheatgrass in hand, and were excitedly chatting and sharing. It felt so good to do this simple thing for them. I also grew wheatgrass for a window display at a local boutique. I had a few bamboo baskets left over from the Boutique order and so Maya gave each of her classroom teachers a wheatgrass gift basket. We grew some and gave it to our neighbors, and we grew a lot for our house! It seems like we have wheatgrass around every corner. Having the house full of green is refreshing after many many months of cold grey winter. The colour therapy does wonders to lift the spirits. 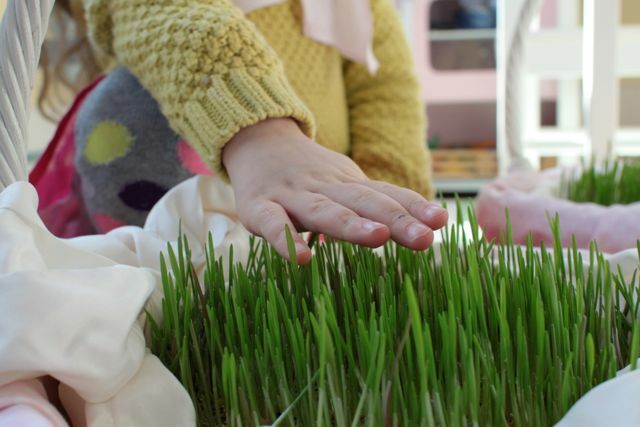 I also really enjoy tending the wheatgrass, It awakens the dorment gardener. After growing so much wheatgrass over the years, I have the process down pat, I learnt how to grow it from watching a wheatgrass you-tube tutorial. I advise to watch it a few times and don’t take short cuts. Wheatgrass likes lots of water. I water mine often because our house is very dry with the cold weather heaters still on. I purchased organic wheatgrass seed, or wheatberries as they call them from the Sprout House. They are inexpensive to buy and go a long way. I generally soak 1 cup of wheatgrass seed at a time and it makes a lot of wheatgrass. Having the wheatgrass sitting around has meant we have been eating it too. Elle has started making banana wheatgrass smoothies. 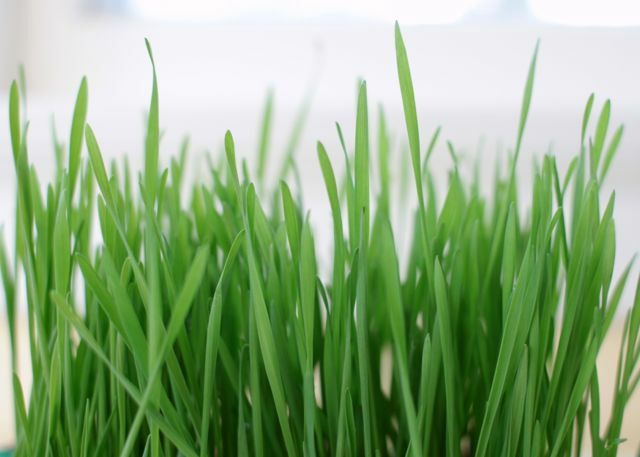 Wheatgrass is best juiced, but if you put it in the blender with some water it will desiccate fine enough to drink. Elle likes to use the scissors and snip away at the wheatgrass, then she puts it in the blender with some apple juice. I stand with her while she operates the blender. Once the wheatgrass and apple juice are finely blended, she adds a banana and an ice cube. Then blends again. This makes a sweet green smoothie that she drinks entirely on her own. 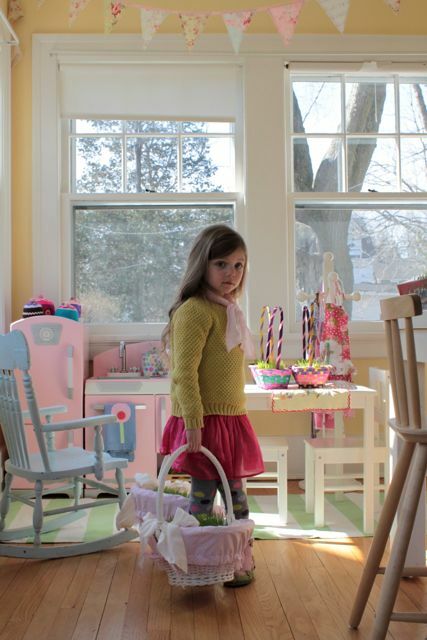 A perfect four year old activity. Smoothies are a great way to enjoy greens, and it makes growing the wheatgrass holistic, instead of just ornamental. 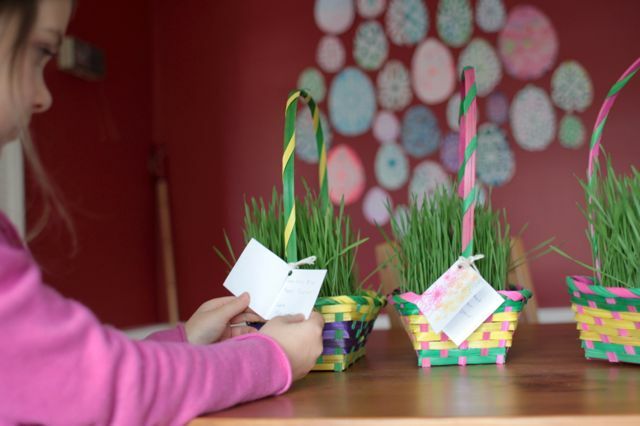 Once again I apologise for not posting this easter tradition sooner, I should have started posting about the wheatgrass weeks ago…you can keep it in mind for next year, or maybe you want to grow it and drink it. Either way, I hope you can enjoy wheatgrass with us! 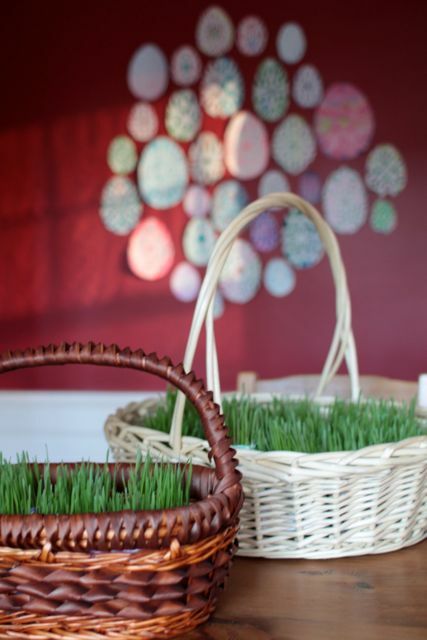 This entry was posted in C R E A T E and tagged easter, spring, wheatgrass. Your family would think this is a great project. They would enjoy watering it each day with the spray bottle. I think your boys would enjoy the green smoothies too!